We're pleased to offer Forever One "H&A" Moissanite rounds on our site so that customers may order multiple round stones (Moissanite, Amora, etc) to compare directly! The F1 "H&A" is billed as being an H&A, but by that they mean it has some arrows under the viewer. It does not qualify as a true H&A cut - the table is too large, the depth is too shallow and the symmetry is not excellent and polish is only 'good' (should be excellent) . It is basically an AGS-4 cut grade vs true H&A is AGS-0. Regardless, it is an improvement over the 'flat top' regular rounds that are normally sold for Moissanite rounds from Charles and Colvard. Under the Good/Better/Best paradigm, Forever One "H&A" would rank as good, with Amora Super Ideal Eternity H&A as best. However, for some cases, best is not needed and thus F1 may offer a good value/pricing for you. 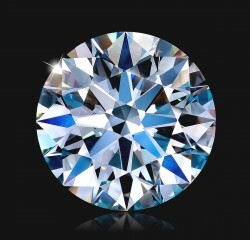 Please also note - Charles and Colvard claims on their website their "H&A" round cut has 58 facets. This is incorrect. 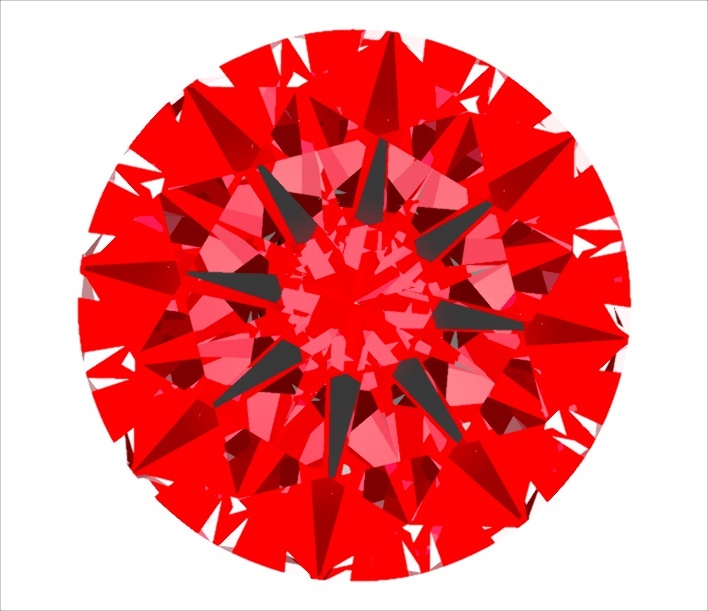 It has 57 facets, same as all other round cuts. The facet count was independently verified at NAGL. 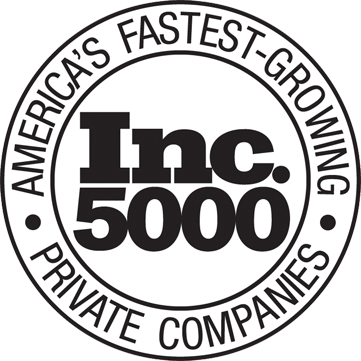 Unclear why they continue to provide incorrect information to their customers, but we are pleased to provide factually accurate info for you here. Note that there are/were many incorrect claims being promoted by other Forever One resellers - example: the 9mm size is not a "3.00ct" but in fact is 2.70ct on average. In addition, there were some claims that the Forever One is "AGS-0" cut grade but as you can see above, it is an AGS-4 on average. We will shortly have comparison video and photos and an independent diamond grading report so you can see how the Forever One stacks up. 1 - Cut - H&A would always grade as Excellent cut grade under GIA standards. This one only grades as "Good" which is to say it is ranked 3rd lowest out of 4 possible cut grades (Excellent = Best, Very Good = Second, Good = Third, Fair = Fourth, or worst). 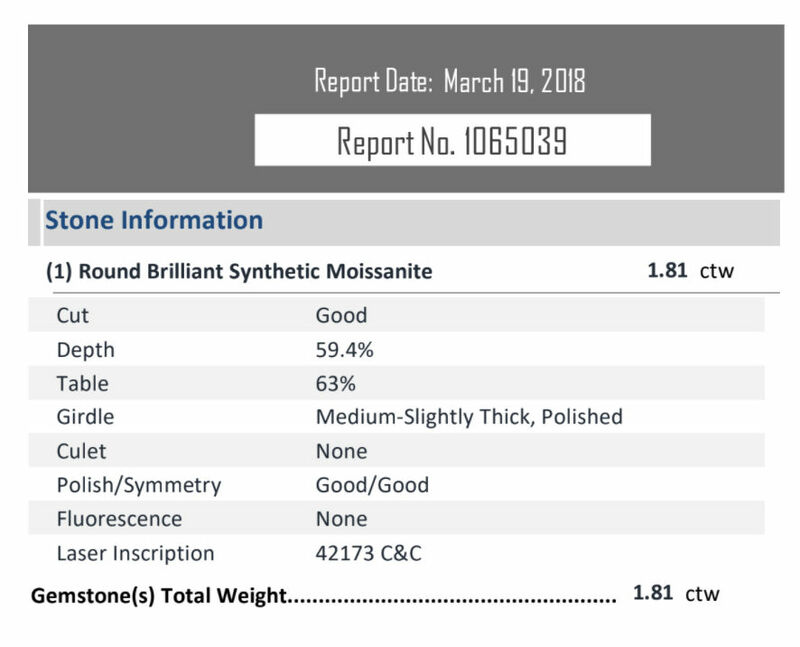 Note that the regular Moissanite grades usually as Fair. 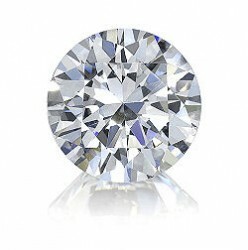 2 - Depth - Moissanite is notorious for cutting their rounds shallower than they should be. The working theory is to lower the cost of each stone (takes up less rough) but it results in poorer beauty. Depth should be 61-62% for optimal beauty and for H&A cut. 3 - Table - H&A cut's require 52% - 58% table. 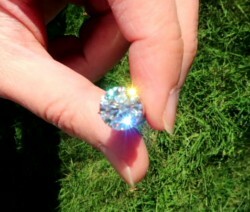 In this case, as with every Moissanite "H&A", it' consistently too big - for this one, 63% or 5% too large. This lowers the light return of the stone and prevents it from qualifying as H&A. 4 - Girdle - Girdle is polished rather than faceted. Also one facet is left unpolished where they engrave, which another way of cutting cost. 5 - Polish/Symmetry - H&A must be "Excellent/Excellent" but none of the Moissanite "H&A" grades that way. 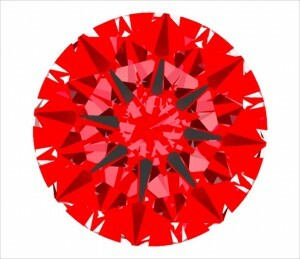 The facet edges are rounded similar to a garnet or Mohs 7 gem, rather than the diamond sharp facets of Amora or Diamond. 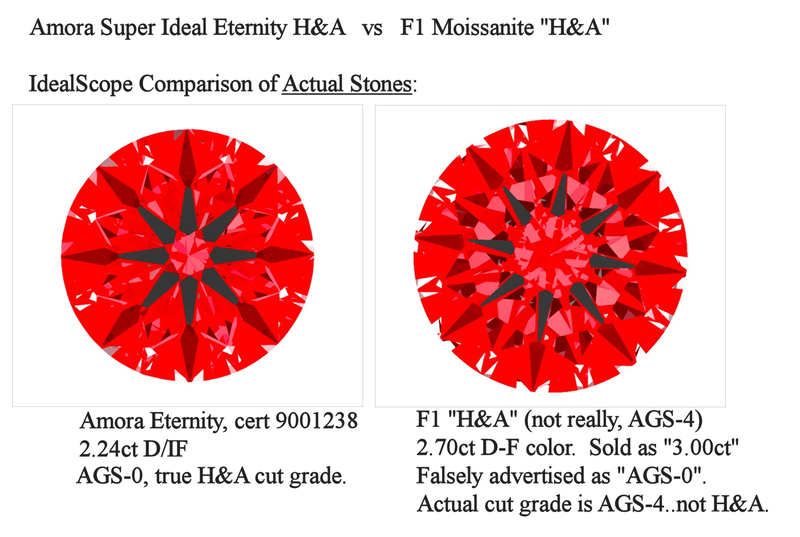 Symmetry must also be Excellent for H&A, as that is how it optimizes light return and thus fire/brilliance, but as shown above, Moissanite does not qualify for "H&A" even though they advertise it as such. As with all our loose stones, this Moissanite is offered with a 40 day return policy (and is not a "store credit only" return policy like some other Forever One sellers offer, ahem). 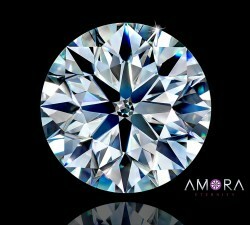 For further learning, you may want to see how an actual $45K H&A Diamond compares - in this case vs an Amora Super Ideal Eternity H&A - can you tell which is which? Click here to take the Amora Challenge!